If you have been invited and wish to purchase and pay for tickets, Click here to go to Eventbrite. You will need to enter the booking code from your letter. 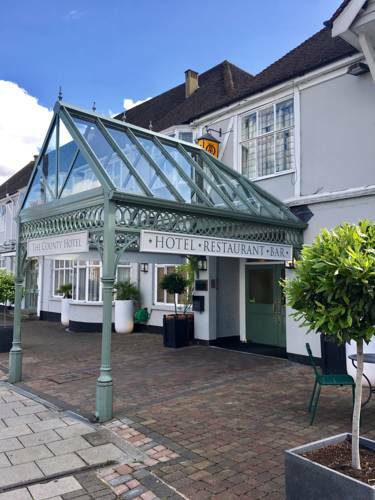 Now renamed City Prayer Breakfast, this year’s event will be on Thursday 6th June in the Crystal Ballroom of Chelmsford’s, The County Hotel. 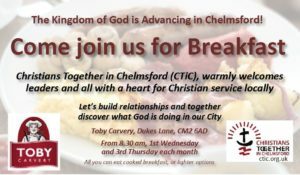 We hope to welcome invited guests from the civic, business, education and charity sector leaders and those involved in Christian Leadership within the City. 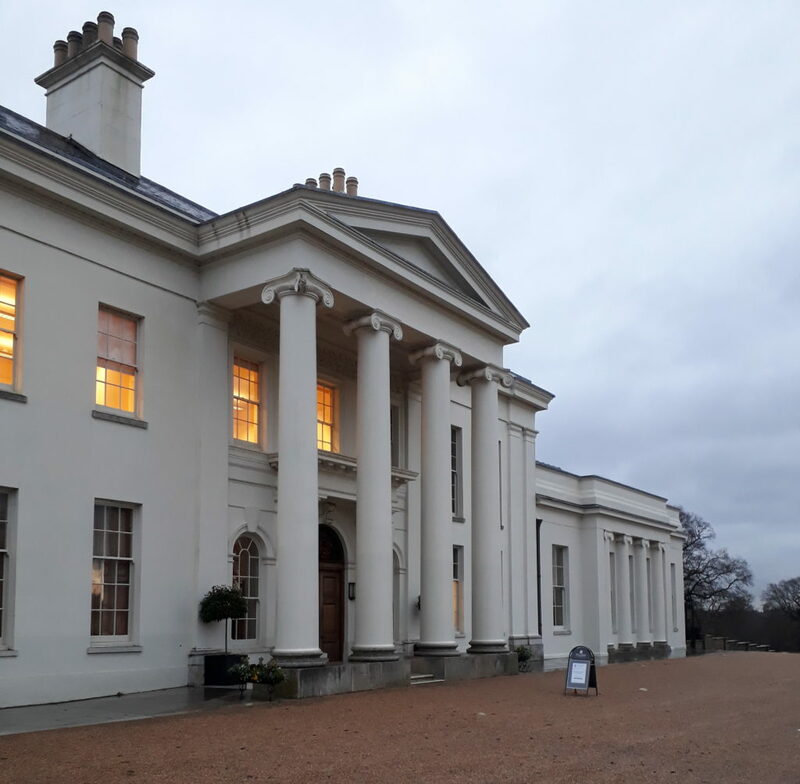 10th January 2018, we were delighted to have been able to host our very first Civic Prayer Breakfast, at Hylands House, Chelmsford. Amongst the forty who attended were many of the civic leaders from the City. These included our mayor and his wife, our MP, representatives from the City and Essex County Council and also Essex Police. Leaders of Churches and local Christian organisations made up the remainder of the thirty or so who attended. We ate, chatted, built relationships and prayers were then said over police, healthcare, political leaders, commerce and education in our City. Local Evangelist, Nigel Bolitho, spoke passionately that Church and State in our City are not separate, but ‘part of the ‘same house’, although so often confined to different floors – that we should and must be in relationship, working together to see our City blessed and prosper. The day was one where we each took new steps, both up or down the staircase. May these journeys between us continue.